-3-in-1 Tool: Grabs, Flips & Cleans. 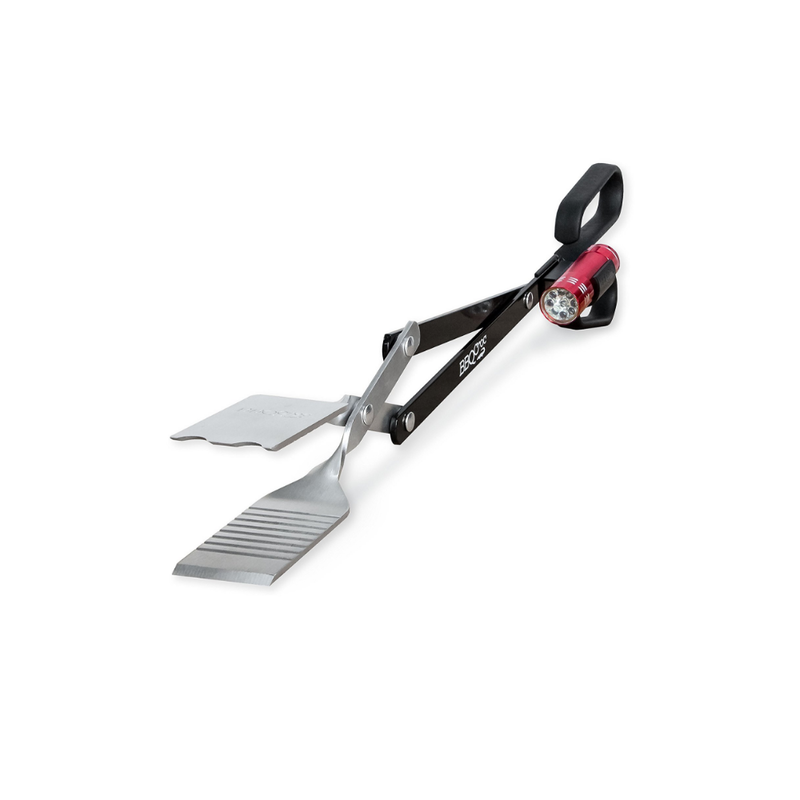 GRABS more precisely than a regular set of tongs. FLIPS more efficiently than a spatula. CLEANS your grill. 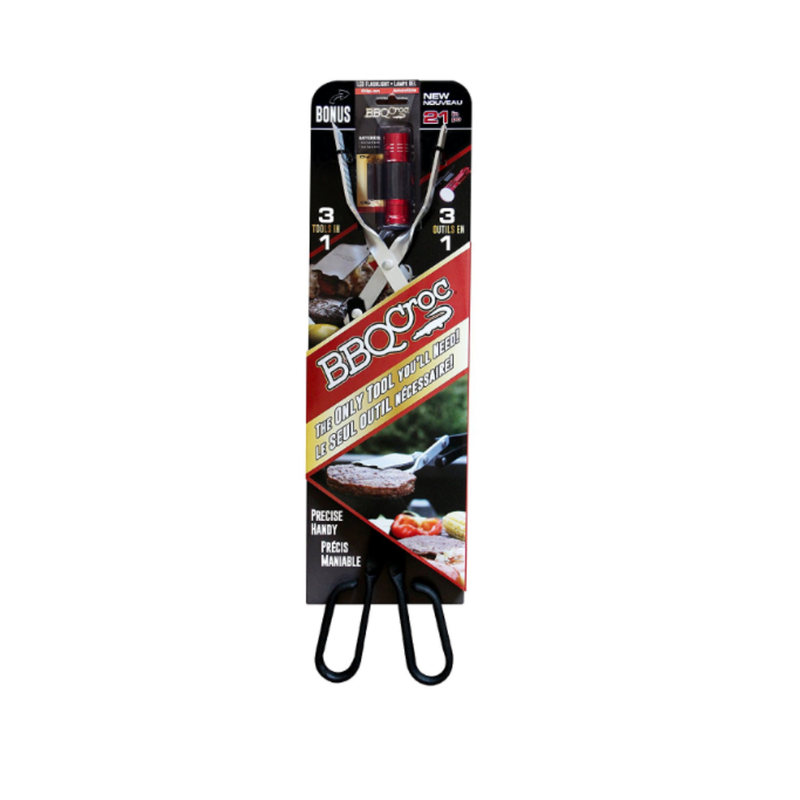 -Tired of grilling in the dark? This bonus pack includes a specifically designed clip with flashlight that attaches to the BBQ Croc and illuminates the entire grilling area. It can also fit perfectly on a baseball cap or other brimmed hat, so the beam follows where you look. 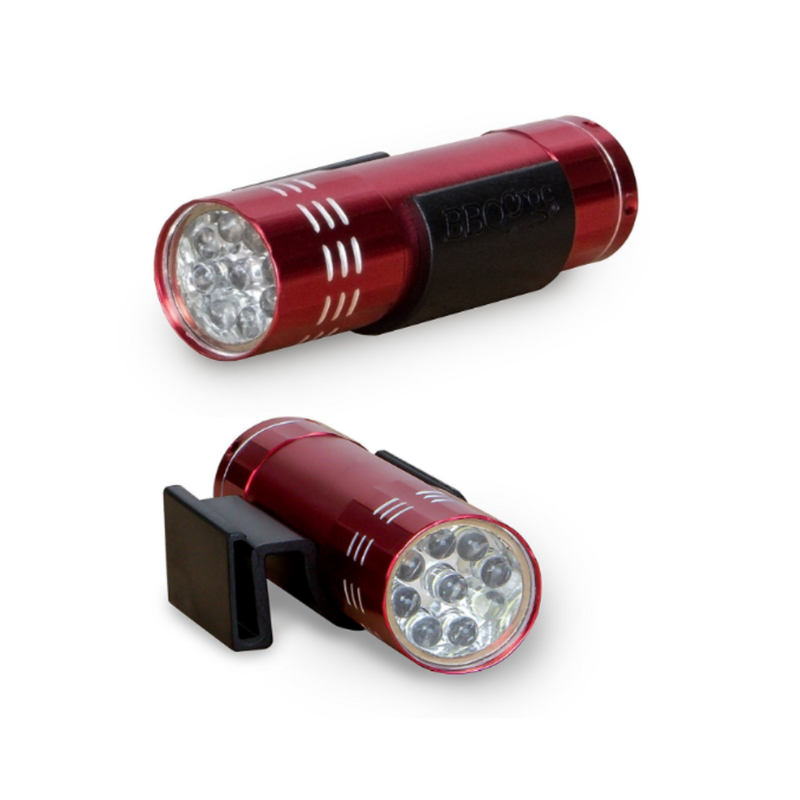 -Includes a powerful 9 LED light flashlight, batteries included (remove battery charge protector before use). -Removable clip snaps on and off easily. The clip is made of strong, heat resistant thermoplastic, making it durable without scratching the BBQ Croc shaft.